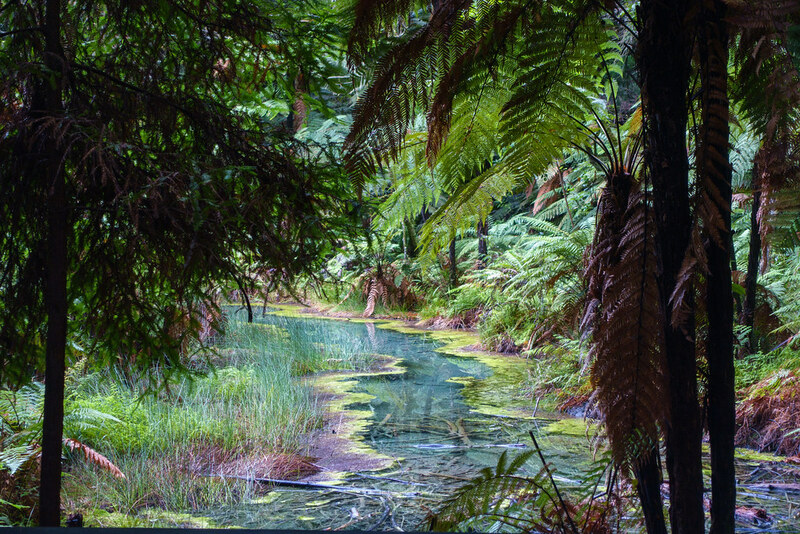 This is the fourth of a series of posts detailing mine and my sister’s trip to New Zealand’s North Island. View all the posts so far here. 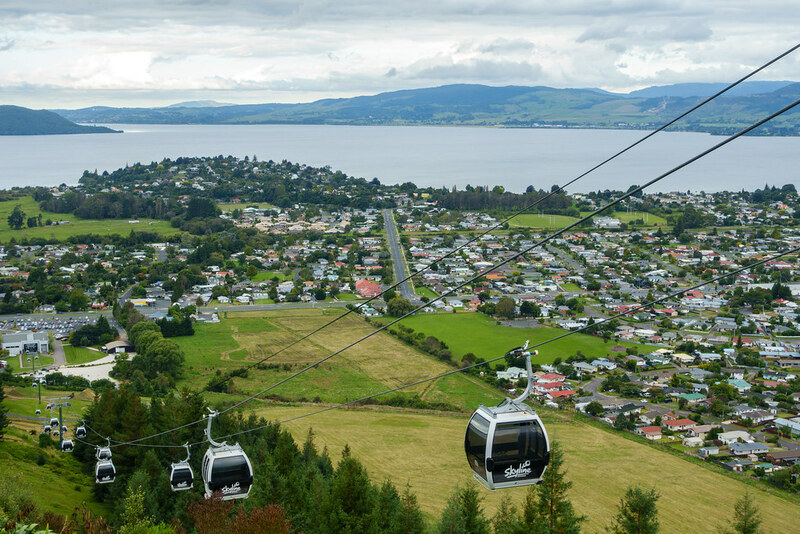 The town of Rotorua in the centre of New Zealand’s North Island offers a feast of fun activities, whatever you’re into. 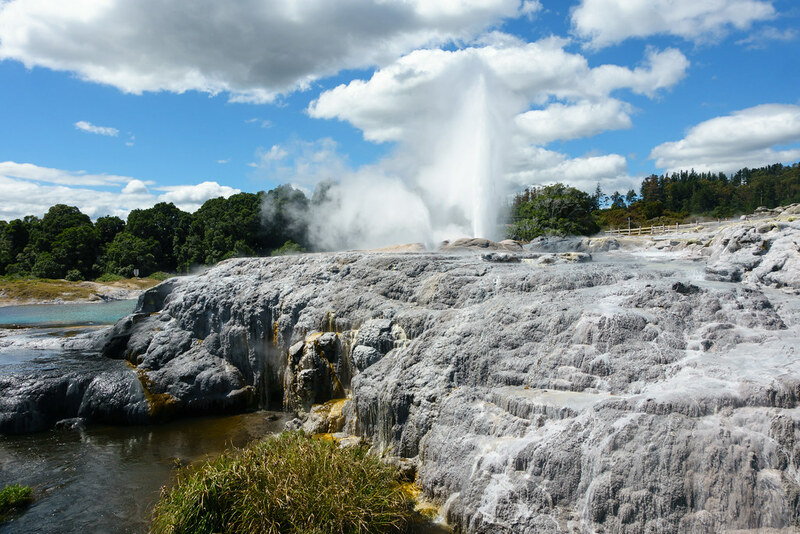 Whether you want to marvel at geothermal wonders, learn about Maori culture, or get an adrenaline rush, you won’t be bored. 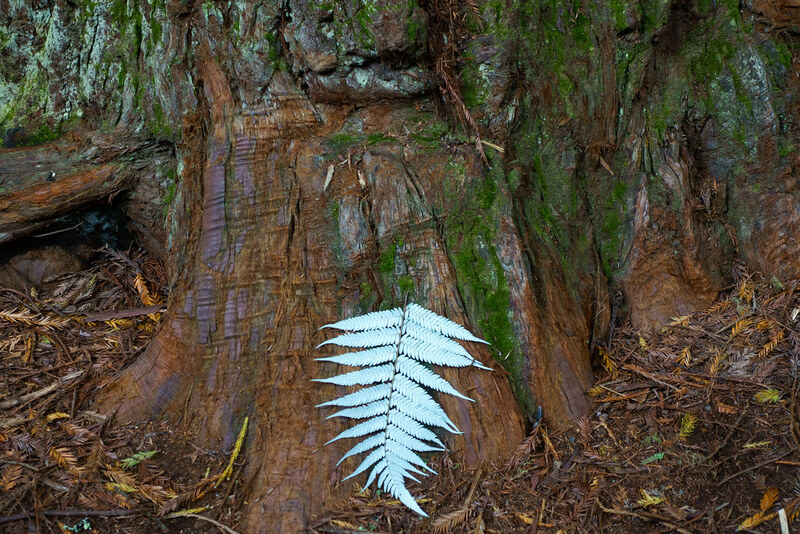 In fact, we packed so much into our four days in Rotorua that they won’t all fit in one blog post. Instead, I’m going to summarise our itinerary and the food we ate here, and expand upon three of the days in further posts. As soon as we arrived in Rotorua from Waitomo, we went to the iSite visitor centre to find out how to reach all the town’s attractions. The woman at the desk was lovely and gave us lots of advice and bus timetables, as well as her own story of doing the Black Water Rafting where she sliced open her elbow on a rock…! We walked to Six on Union motel and checked in, then walked to the nearby supermarket to buy supplies for dinner that night (pasta) and breakfast for the rest of the holiday (porridge). 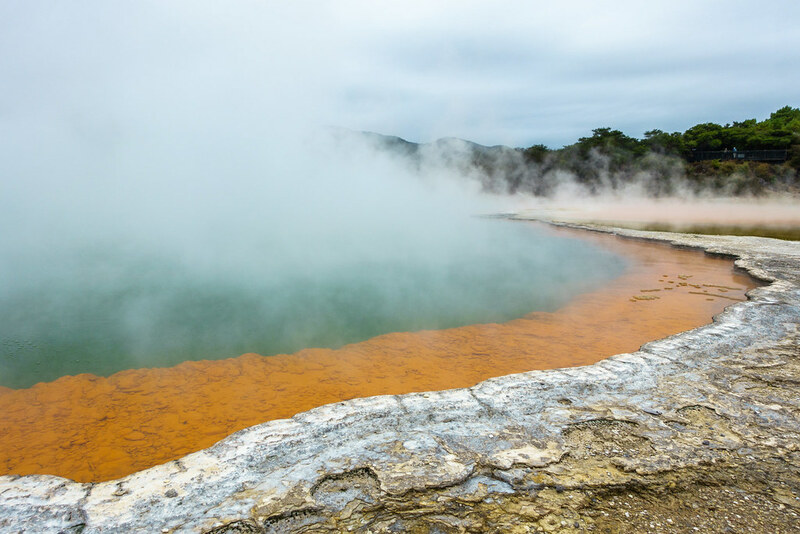 Te Puia was a perfect activity for our first day in Rotorua, as it served as an introduction to three things New Zealand is best known for: geothermal activity, Maori culture, and the Kiwi bird. And after a peaceful morning and afternoon of walking around Te Puia, an adrenaline fuelled trip to the Skyline was a must! We went on the gondola and the luge, but there are also other activities available including a zipline. That night we had a fantastic Mexican meal at a tiny restaurant called Sabroso. 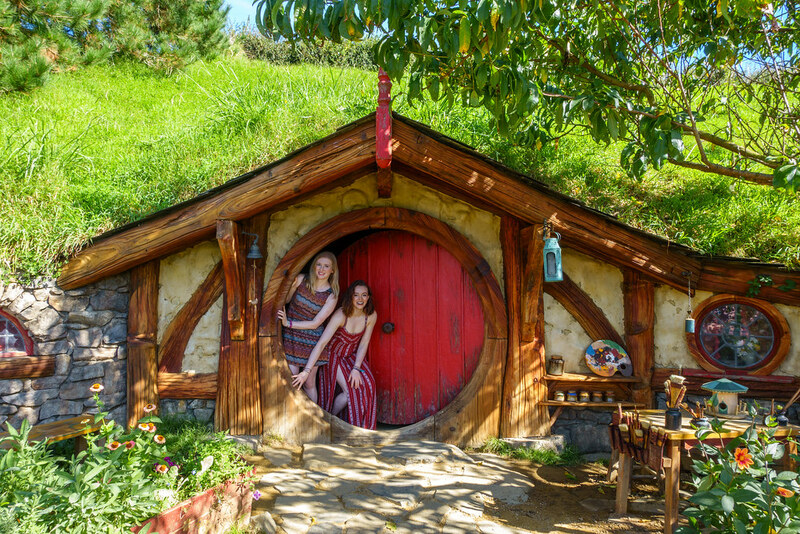 Despite not being a Lord of the Rings fan, I found Hobbiton just magical and I wouldn’t have missed it. 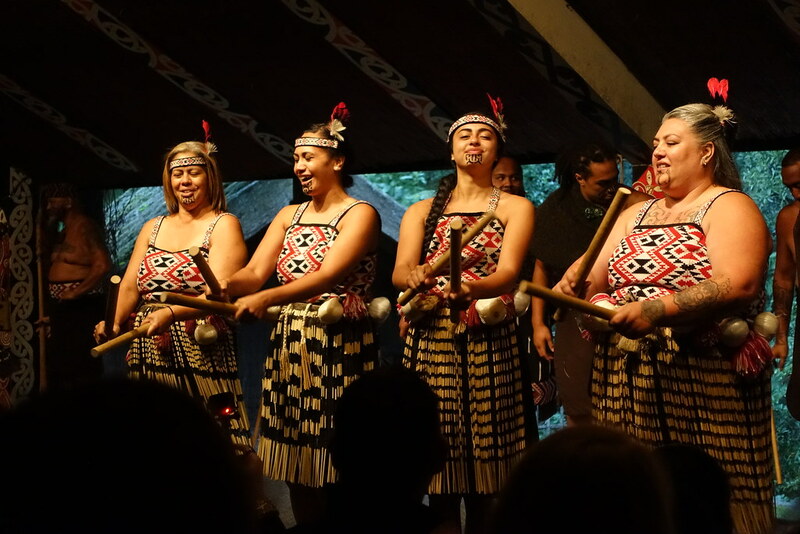 The Tamaki Evening Experience was a fun and wonderfully in-depth insight into Maori culture. Not having a car, we had only one way to see the geothermal parks of Wai-o-tapu and Waimangu, and that was in the minibus of a rather bad-tempered man. But the parks were amazing and each unique in their own way. That night we enjoyed the best-value meal of our whole trip, at a friendly Indian restaurant called Chimney. 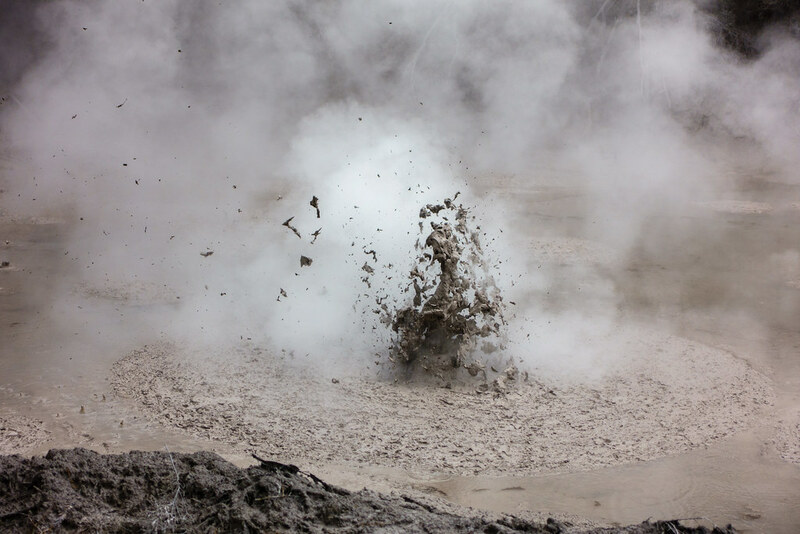 Today we left Rotorua for Whakatane, hoping to go to White Island. 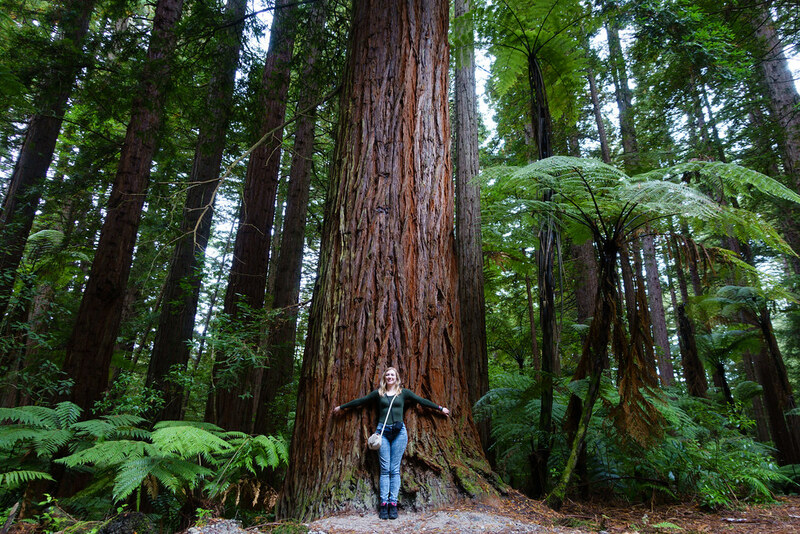 But before leaving we had to visit the Redwoods: Rotorua’s grand forest of century-old Californian Coast Redwood trees. Leaving our bags at the motel (in the owners’ living room!) we caught the number 3 bus and told the driver we wanted to go to the Redwoods – he let us know when to get off. Once at the visitor centre, we decided to do the Quarry Lookout walk as it was the best fit for our limited time. The walk was pleasant and peaceful; we saw barely anyone else. 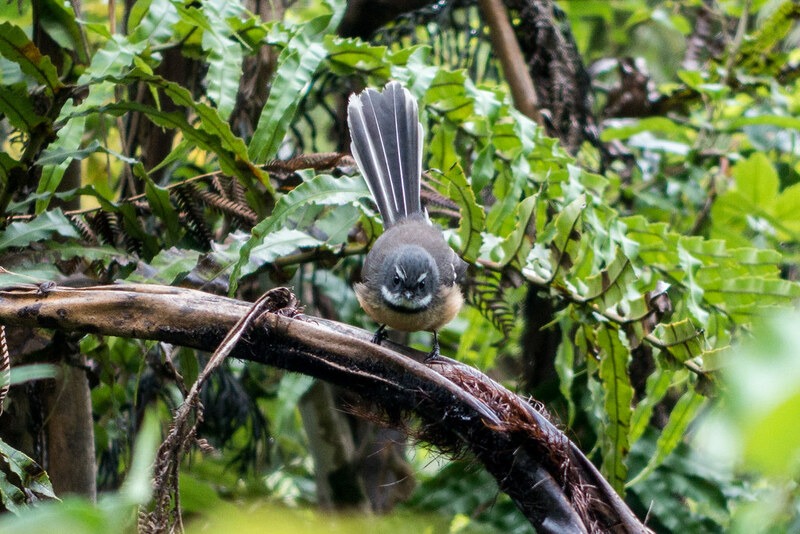 My highlight was undoubtedly seeing an adorable fantail bird up close and managing to get a photo of him looking very cross! After finishing the walk we returned to the motel to collect our bags, then walked to the bus stop via McDonalds where I had a chorizo and chicken burger and we shared a creme egg McFlurry! Subscribe to this blog or Like and Follow Roam with Juliet on Facebook to be alerted when my next posts go live. 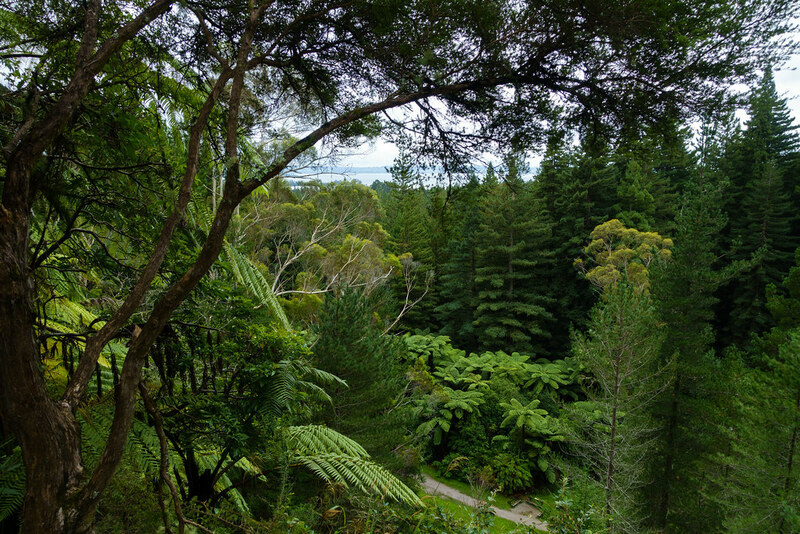 Posted in New Zealand, Reviews, TravelTagged activities, RotoruaBookmark the permalink. This is amazing! Loving the photos! Thank you! He managed to still be very cute, despite looking cross!